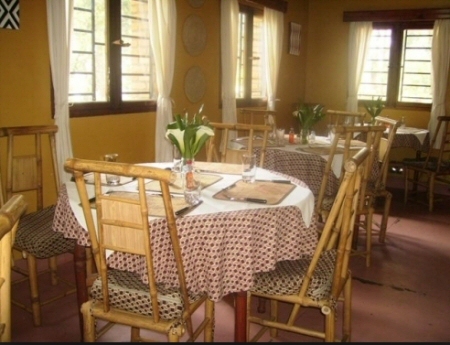 Gisakura Guest House is located roughly 2km from Nyungwe National Park; it’s next to the Gisakura Tea Estate on the road coming from the park towards Rusizi formerly known as Cyangugu. At the guest house, visitors have the opportunity to visit chimpanzees, see different bird species in the Central African Highlands as well as adventure through the Canopy walkways. You will also be crisscrossed by Vervet monkeys in the Gisakura Tea Estate. he guest house is in a calm environment hence offering you a peaceful stay. The Meals are scrumptious and prepared by an experienced chef. There is a well stocked bar offering various drinks. The staff is warm and friendly and always at your service. Accommodation offered is budget with comfy rooms to offer you a pleasant stay. 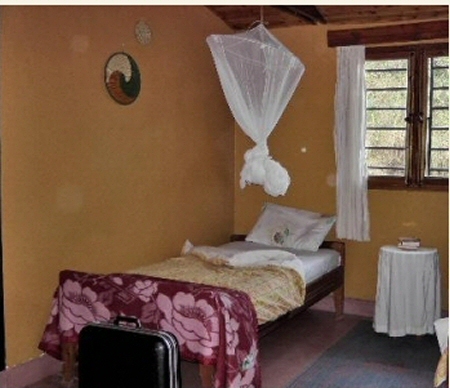 The rooms are categorized into 3 types all beautifully furnished in African style. The guest house provides outstanding facilities plus services and the main source of power is electricity. You are recommended to make your reservation in advance since at times the rooms get entirely booked. Comfort guaranteed at this guest house.